When the summer heat is boiling, many people find relief by turning on the garden hose. Whether it is watering the flowers or filling up a swimming pool; water consumption is at an all-time high in the summertime. However, when the temperatures start rising, it often brings along with it drought like conditions; this is especially true in areas where there are little to no rain showers. There are ways that you can conserve water during the hottest months of the year. Here are some tips on water conservation. The toilet is one of the biggest water waste items in the home. If you have an older model commode, then it can use anywhere from 5-7 gallons of water to flush. However, the newer models only use 1-3 gallons. This is a huge saving that adds up to a home where there are many people around. Replacing a toilet is a useful cost measure that will conserve water and save money off of the monthly water consumption costs. Decorative mulch looks beautiful around your plants. Additionally, mulch does more than add beauty to your yard. Mulch acts as a shield and protects the plants. It helps keep the ground moist and does not allow the sun to dry up the plants so quickly. A nice layer of mulch will keep plants from dying and will also look aesthetically pleasing. In some areas, the yard is going to need some water. However, if you are watering more than once a week, then it is too much. Your yard is made to be hearty and take the heat. However, if you water it too much, you can do more harm than good. At various times during the summer, water alerts are issued, and lawns are not to be watered. If you insist on watering, then try a water saving sprinkler system. These will ensure that only a small amount of water is released, and it is done during the right times. Many people feel all nostalgic when they remember spraying each other with the garden hose. For those who do not have a swimming pool, the hose can act as a great source of cool water. However, the common garden hose releases up to 24 gallons per minute. If the kids forget to turn off the hose and leave it on for an extended period, then it is going to cost you big time. Rather than allowing them to play in the hose, encourage them to go outside when the sprinklers are on. It is already watering the lawn, so it will not cost any extra for them to play during that period. It may be cost effective to get a swimming pool too. It is often the case that the pressure from the water hose becomes a great way to clean off sidewalks and to get rid of weeds and debris. Actually, with the hose releasing so much water at one time, it is better to use the broom and save. The recent problems with water in Michigan show us why it is so important to conserve and be careful with our water supply. 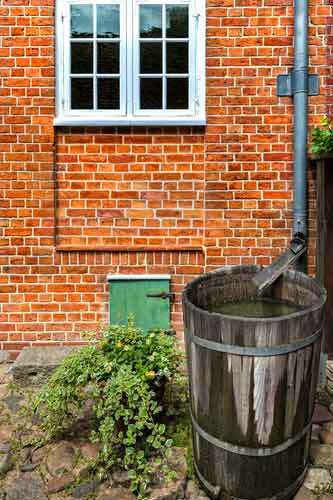 If you have a garden filled with lush vegetation, then why not use rainwater to ensure the soil stays moist. Rain barrels were very popular a couple of decades ago, but they are coming back with those who have a conservative side. Rain water is great for capturing all that extra water and allowing you to put it to good use. There is no reason why you need to turn on the water hose when you have a rainwater collection system. Never water your plants in the heat of the day. When the temperatures are scorching hot, your plants will get very little of that water. Actually, the water will evaporate before it ever hits the roots. If you water in the early morning hours or late in the evening, your plants will get the thirst quenching drink they need. You probably do not think that that constant drip coming from your sink is wasting water, but it costs you way more than you could ever imagine. Let’s say that a faucet drips 30 drips per minute. In the course of a day, that would be 1,800 drops per minute and 43,200 drops per day. Regarding overall consumption, that would be 2.85 gallons per day or a total of 1,041 gallons per year. Can you afford to waste water? Calling a plumber in to fix this faucet will more than pay for itself. Your shower provides a great place to release the stress of the day while washing the dirt away. However, it also allows a place for you to spend major money down the drain. Your shower is probably not equipped with a water saving device. By putting a shower head on that regulates the water, you can save big money. The average shower is around 17.2 gallons at nearly 9 minutes. With a savings device on that shower, it could decrease the shower water consumption drastically. Some fancy heads use more pressure than water to do the job. If using up to .75 gallons per minute sounds great, then checking out a high-end shower saving head might help. The shower may be flowing at a rate of 2 gallons per minute, but an overall bath can take up to 50 gallons of water. Never bathe unless it is a small child who does not need much water. When water consumption regulations are in place, it is important to conserve by taking quick showers. 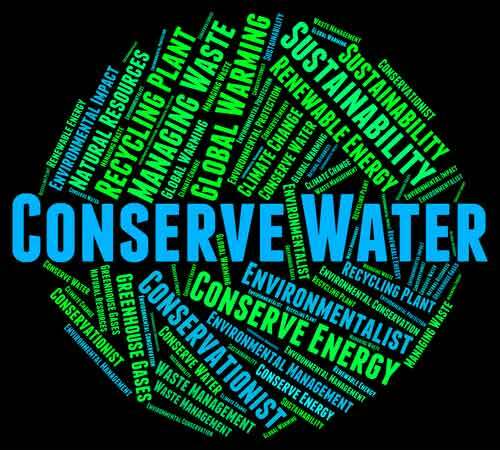 If you want to learn more about water conservation or you want to have some of the items above fixed by a certified plumber, call Heidler, Inc. today at (410) 268-7191. We want to ensure that our customers know the importance of water conservation and water waste management.